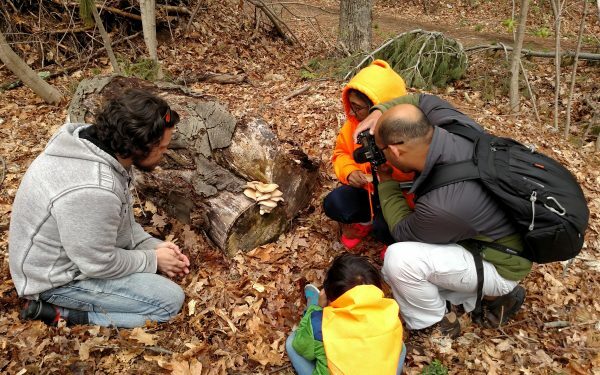 We offer educational and entertaining programs about wild mushrooms, to large audiences or even very small ones. The programs are so fun, many people don’t notice how much they are learning! 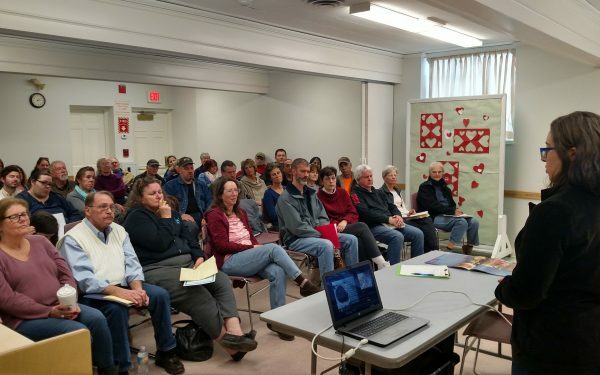 We do 2-hour outdoor Guided Walks, as well as 1-hour indoor Slideshow Presentations (we have a different one for each season) with Q&A afterwards. 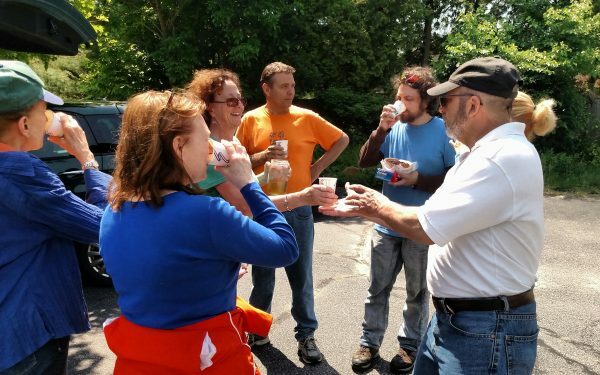 We also teach our 3.5-hour Mushroom Festival–that’s an in-depth “immersion class” which combines a 1-hour slideshow, a 90-minute guided walk, AND a delicious cooking demonstration! This is our most popular offering. 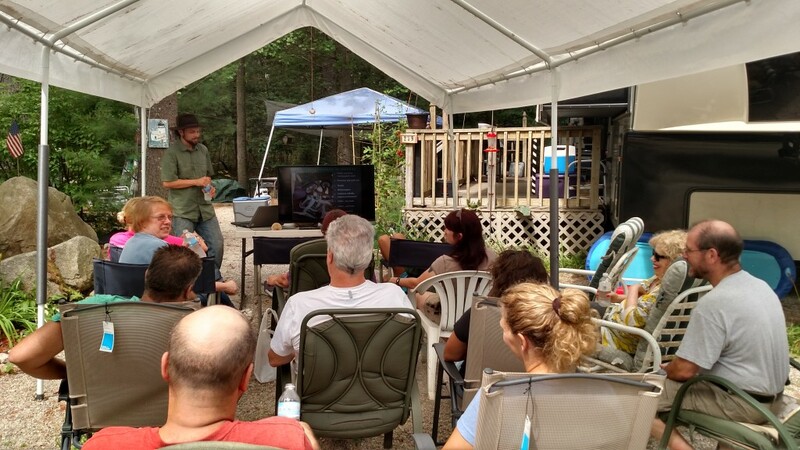 Finally, we also present season-based Mushroom Seminars: hands-on learning for 1, 2, or even 3 full days. 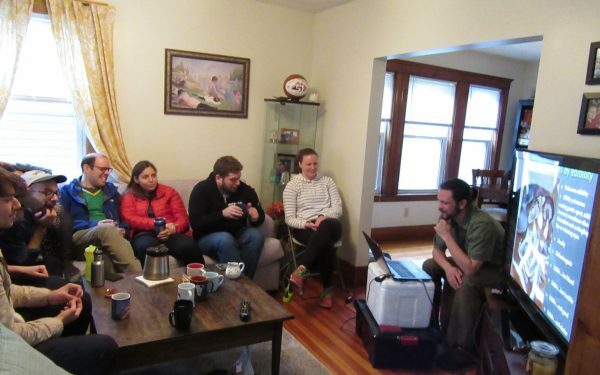 People hire us for an event at their home, just for them, or with friends and family. Organizations hire us to present for their own members at a private event, such as a club meeting or a company wellness retreat. Organizations hire us to present a public event, and may choose to charge their own admission (this should be discussed with us in advance). 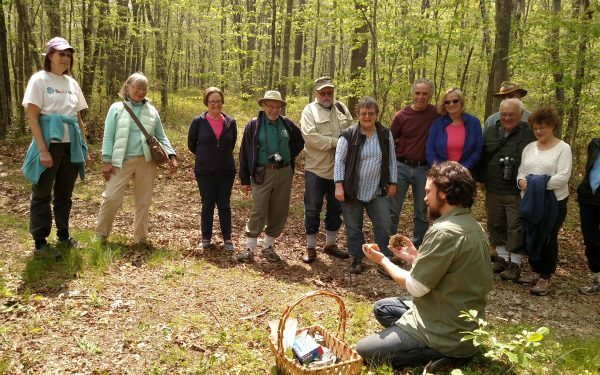 *SLIDESHOW mushroom hunting classes* Fun, and informative…bring a notebook!